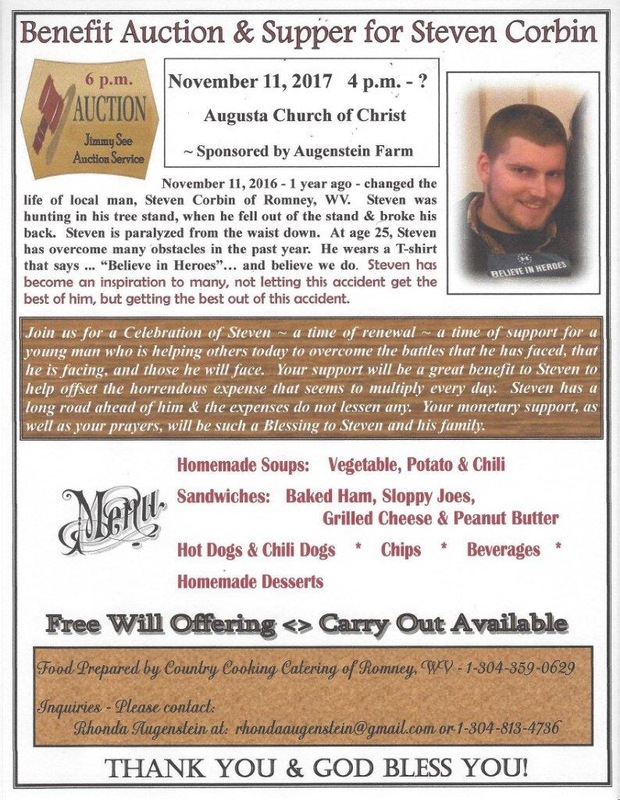 Augenstein Farm is sponsoring a benefit for Steven Corbin November 11th at the Augusta Church of Christ. Many of you may know Steven and his Finance as they both are a part of our BVC family. 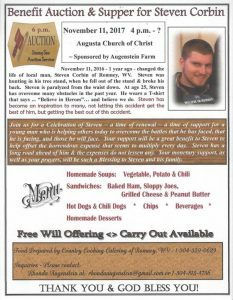 Check out the flyer for all the details and keep Steven and his family in prayer.